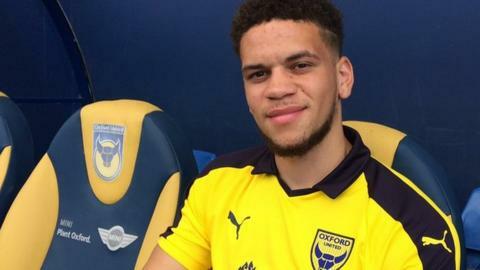 Oxford United have signed attacking midfielder Marcus Browne on a season-long loan from West Ham United. The 20-year-old's only senior appearance for the Hammers to date came in a Europa League game against Astra Giurgiu in August 2016. He also had a brief loan spell at Wigan Athletic in early 2017. "Having spoken to (manager) Karl Robinson and seen what the club's about, this seemed like a right move for me," Browne told BBC Radio Oxford.